Ten-foot giant sunflowers really can be grown in plant containers (even in small 3-gallon nursery pots). But growing these beauties in your balcony container garden will attract attention from the people in your neighborhood, as well as a lot of wildlife. The sunflower’s floret patterns (what eventually turn into seeds) are displayed on the circular flower head in an amazing spiral pattern. This, in addition to making a beautiful flower display, ensures that the most seeds are crammed into the sunflower’s flower head as possible. Light: Mammoth sunflowers need full sun for 6 to 8 hours each day. Fertilizer: Fertilize your mammoth sunflowers regularly with a high-nitrogen liquid plant fertilizer. When a flower head begins to form, switch to a liquid fertilizer with more phosphorous to promote a more spectacular sunflower bloom. Temperature: The mammoth sunflower is an annual plant, so you do not need to worry about overwintering this plant indoors. The most important thing to remember with sunflowers and temperature is to not plant them outdoors until the last frost has passed. If you experience a very hot, dry day, make sure to give extra water to your sunflower so it does not dry out too much and die. 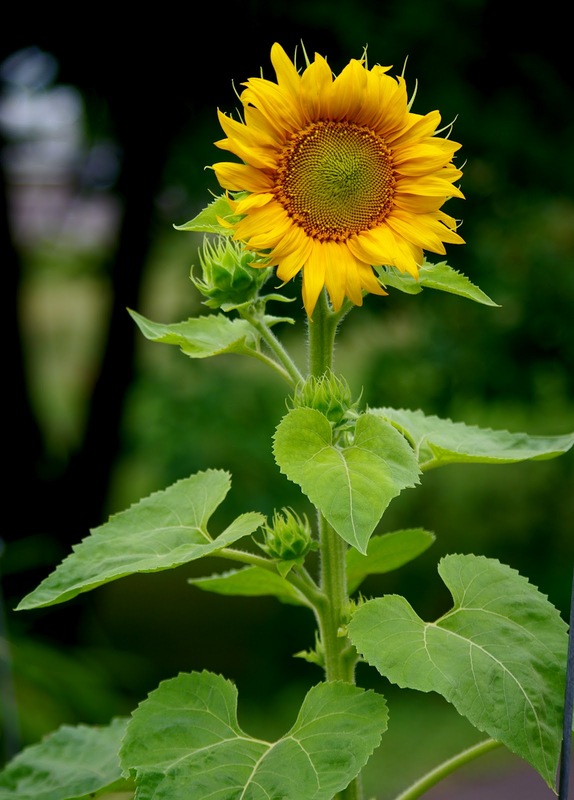 Pests and Diseases: While sunflower plants are generally very healthy and immune to common garden pests and diseases, you will find wild birds and squirrels snacking on sunflower seeds. When you harvest the giant sunflower heads, make sure to keep them in an area where animals cannot eat the seeds. You may want to leave the heads on the stalk to attract birds to your garden. Miscellaneous Info: Sunflowers bloom from mid-summer to early fall, and their flower heads are heliotropic, meaning they follow the sun across the sky. But once the sunflower plant’s stem stiffens and becomes woody (around the time of its bloom), the flower stops following the sun. 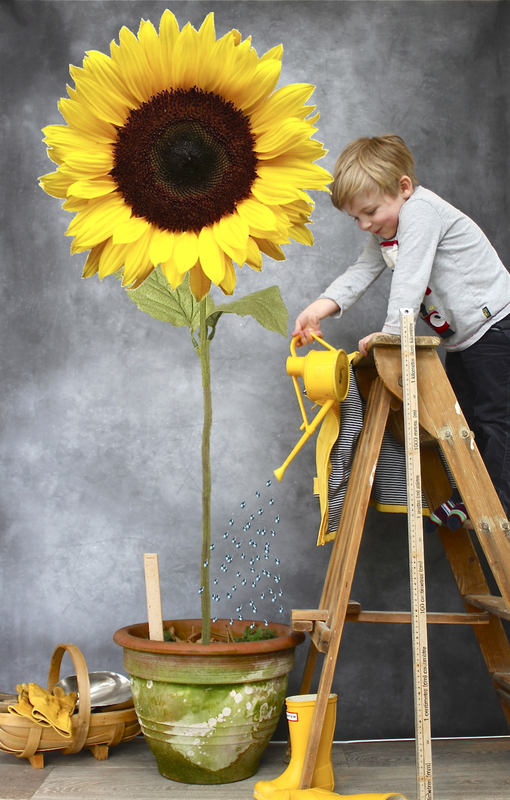 Although most sunflowers grow to about 10 feet, the tallest sunflower grew to 40 feet. 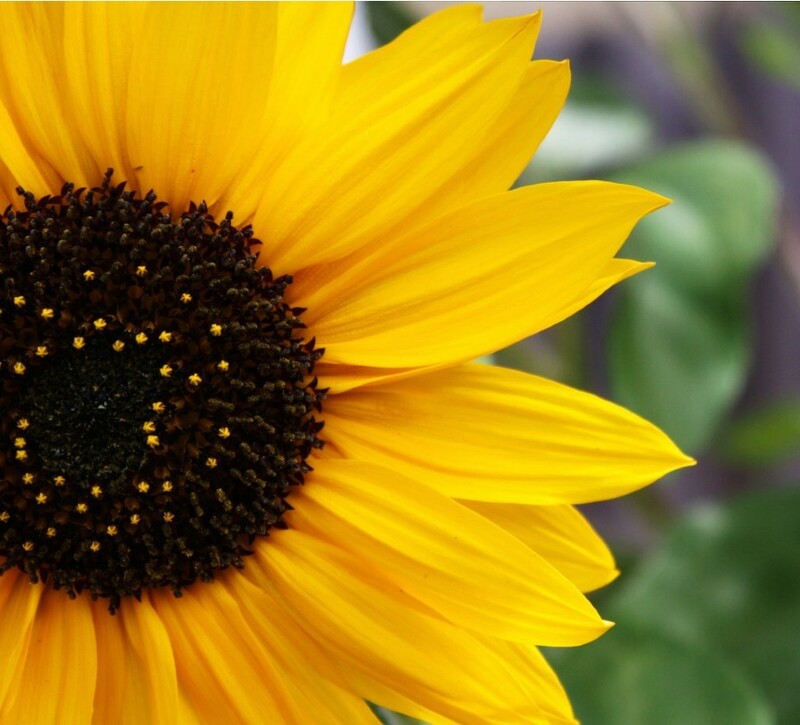 After planting seeds, expect sunflowers to be full-grown and blooming within about 3 months. Sunflowers attract wild birds, butterflies and beneficial insects to the balcony garden. Now you know how to grow to sunflowers in pots. So what are you waiting for? Share this incredible post with your family and friends! Next post: Herbal Remedies For Epilepsy!